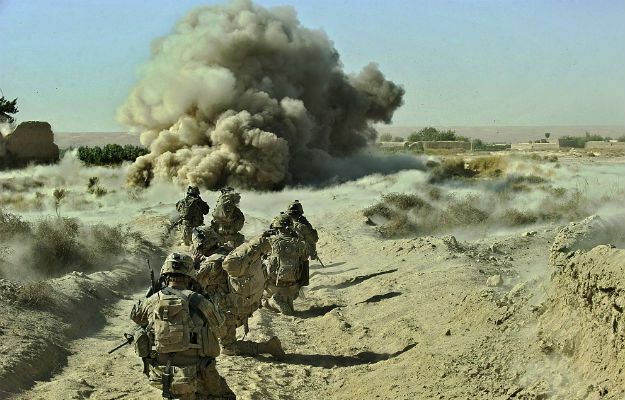 Today’s international military news posts that at least five Taliban militants have been killed and four others injured in clashes with Afghan security forces, in the western part of the country, Press TV reports. According to security officials, the incident took place in the Golestan district of Farah Province on Saturday, after a group of Taliban militants opened fire at a military vehicle patrolling the area. Afghan security confirmed the number of casualties, adding that one Afghan trooper has also been injured in the attack. The Taliban militant group has yet to comment on the report. Taliban militant group has recently stepped up attacks against US-led and Afghan forces, vowing a new wave of attacks across Afghanistan. The militant group has said it would use “every possible tactic” to inflict casualties on Afghan and US-led forces. They specifically mentioned insider attacks and bomb attacks. The announcement comes as the Afghan authorities have surged the military operations against the militants across the country. On Thursday, some 37 Taliban were killed during cleanup operations in Kabul, Nangarahr, Parwan, Kunduz, Sar-e-Pul, Zabul, Uruzgan, Maidan Wardak, Ghazni, Farah and Helmand provinces. The United States and its allies invaded Afghanistan as part of Washington’s so-called war on terror. The offensive removed the Taliban from power, but the country is still gripped by insecurity.